It is sometimes said that Starbucks taught Americans about coffee. And thinking that gives me hope that Apple might yet re-educate the world’s young and cool about the importance of watches. Of course if you look at the number of watches sold in 2014 alone, you will think that the wrist-watch is not exactly on its way out. 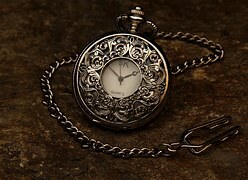 In that year alone, 1.2 Billion watches were sold, which sounds as though every sixth person on the planet bought a wristwatch. However, as the price (the median price of a Swiss watch is $739) suggests, many of the people buying a watch were probably older. Or to be more exact, a recent YouGov poll suggests, they were probably over 34. And most of those people bought more than one watch. And yet, wearing a watch is worth it. First, if you’re climbing the career ladder then having a watch on your wrist—especially a nice, expensive watch—is something that will make you stand out from the crowd. This is all the more true since fewer people are wearing them these days. And, speaking of work—work life is filled with meetings. And I have found that during some interminable ones, a watch is quite to have. Let’s face it: not all conference rooms have a clock, odds are you won’t be sitting facing one even if it does and checking your phone every ten minutes is rude. But crossing your arms and glancing down at… your notes, that’s it!… is perfectly acceptable. So I am glad the Apple Watch is with us (even though I do not consider the Apple Watch to be a wrist watch). And I do hope its sales pick up. For, people are programmed to conform. And Apple products are popular. Which means that people (under 40) will begin to see more and more of their peers wearing something on their wrist. And they may be tempted to emulate them by getting a real wrist-watch. And watches of all sorts will once again be worn by the under forty generation.